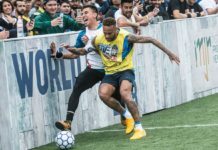 The street football world is always in flux with players constantly innovating new techniques and moves. 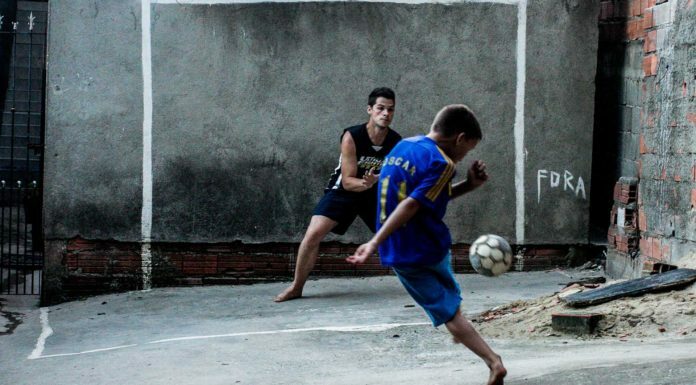 If you want to flourish as a street baller, you have to keep up with what’s going on in the scene. Here are five legit tutorials that’ll help you get out there and start balling! Even for an experienced player, this is a great video to sharpen your skill set with some choice basics. These beginner ground moves are the basis of most street moves, and should be mastered to build to the next level. Once you get these down, you can add your own personal style and really spice up your game. If you can pull these off, give yourself a pat on the back, because you’re officially on the way to baller status. This video covers some of the best classic ground moves in the game. They have been used for years and are still employed on the regular to destroy opponents with style. 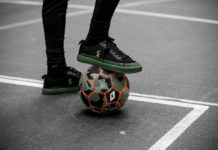 Moves include The Elastico, Cruyff Turn, The Roulette, Hokus Pokus, The Scissor, and The Rivelino. Definitely one of my favorite tutorials when it comes to learning ground moves, this is more of an intermediate video, but will help you break a defender’s ankles, guaranteed. The move they feature is called The Hazardous, which is an amazing combination of drags and The Triangle. When executed perfectly, it’s one of the prettiest things to watch. This tutorial goes over two popular street moves, the Circus Akka and the Shadow Turn. The Akka of course is an advanced but popular street move which involves a player doing an aerial version of The Snake around a defender. The Shadow Turn is a very effective way of faking out your opponent, and unexpectedly changing the ball in another direction. Looking for something a little more advanced than the regular street moves? Kristoffer Liicht of the famed Copenhagen Panna House breaks down a sick combo that incorporates The Triangle with different variations of drags and pop-ups, then finishes with an akka. This video is definitely a great way to learn one of the smoothest moves around, and once mastered, you might even juke Séan Garnier. Well, maybe not Garnier, but it’s still worth learning! Practice makes perfect so keep up the hard work and we’ll see you on the pitch!